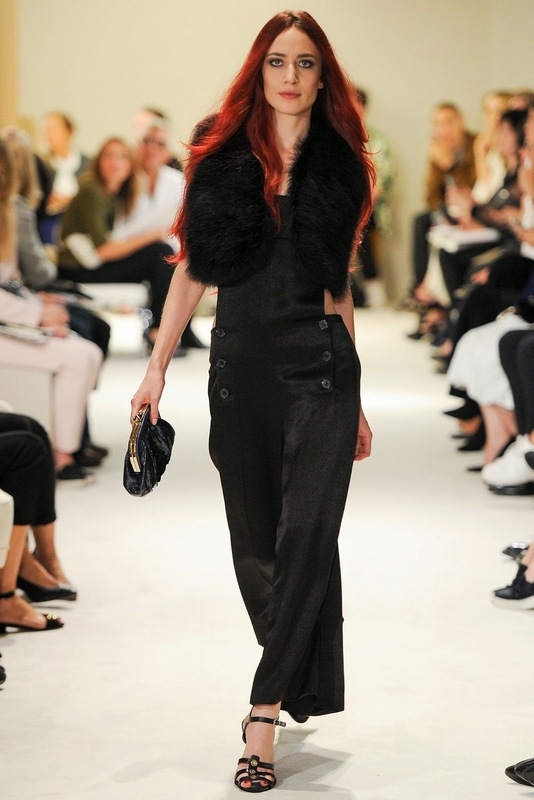 Even though the spring 2015 fashion weeks are coming to the end, I must say that just yesterday, when I saw the photos from Sonia Rykiel´s latest fashion show, I realized the upcoming runway trend. Let´s call it "famous daughters/models"... 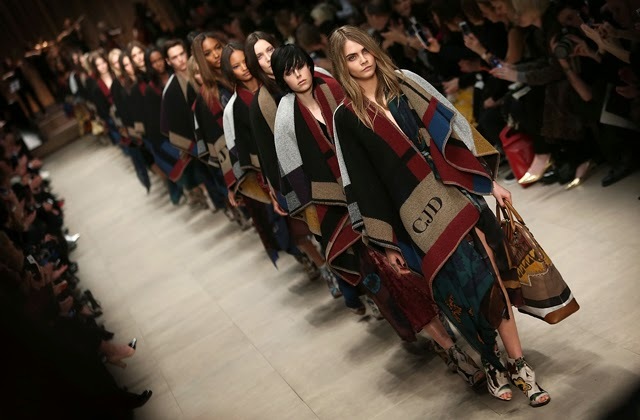 I know that some of them were in the fashion industry for a very long time, but during this season the designers started to overtake the others in order to feature as many as possible in their shows. 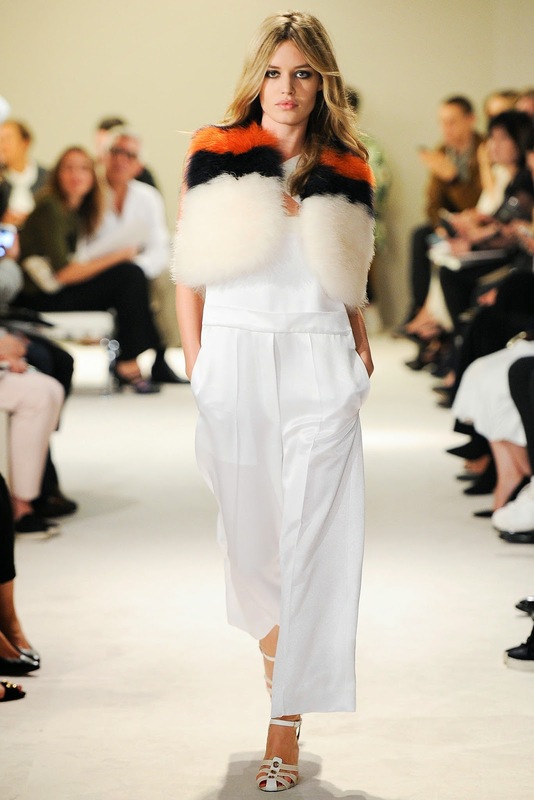 And the best example of this trend is the already mentioned Sonia Rykiel RTW Spring 2015 fashion show. 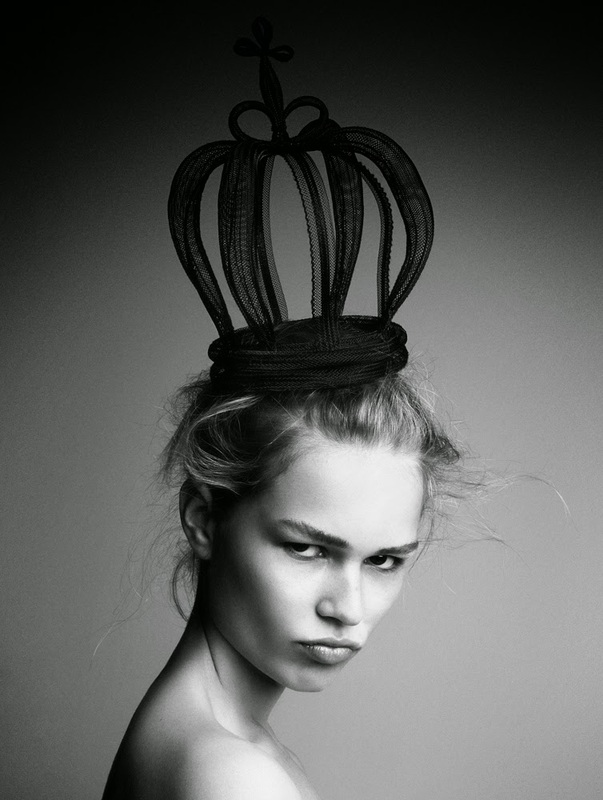 Who knows when we´ll see Cindy Crawford´s and Kate Moss´s beautiful daughters on the runway... In addition, the world famous supermodels such as Miranda Kerr and Edie Campbell joined by her sister Olympia took part in this show. What a coincidence!?! It´s a surprising fact for me that this year the Barbie trend is almost everywhere. Yes, I´m talking about the Barbies that we used to collect and design clothes for in our childhood. But I guess that today´s time is a lot different and children are not interested in much more traditional toys anymore and we see Barbies in "unusual places" now. It´s been a very busy week full of many expectations for one of the most watched women nowadays. Not only she´s opened her first ever boutique on Dover Street in London, but she also became an International Goodwill Ambassador of the United Nations. It was a big surprise for me, when I saw photos of Victoria leaving England on Wednesday. I knew that there must be something big coming. The next day she gave a passionate speech about the need to help women and babies with Aids at the United Nations General Assembly. During those few days Victoria wore various outfits that prove her fashion icon and respected designer status... At JFK Airport, during the United Nations General Assembly, in the famous public library, on her way home, and today, finally, in her newly opened boutique Victoria Beckham showed us the best from her luxurious wardrobe. Can you imagine a better place to start a September journey around the world than in France? At the beginning of this month actress Jessica Chastain wore a beautiful and simple white 3.1 Philip Lim dress, which I think is the best choice for a day spent at the beach party in Parisian Riviera. She attended 40th Deauville American Film Festival, where they made a tribute to her. Later that day she appeared at the opening ceremony of this festival wearing beautiful Oscar de la Renta dress and Christian Louboutin heels. For the first time at the Milan Fashion Week model Kendall Jenner made a more than impressive debut when walking for Fendi. As well as any other model also Kendall made her own fashion show in the streets of Milan. And here is the result. Model Rosie Huntington-Whiteley wearing simple white Anthony Vaccarello for Versace Versus shirt and black peg trousers with side detail paired with Jacquie jewelry and Versace Versus embellished leather belt at the Maroccanoil Inspired by Women Campaign Launch Event in NY. She´s young, beautiful and has an amazing fashion sense. Bella Thorne, 17 year old American actress, singer and model mostly known for the "Shake it up!" series and her latest movie "Blended". Since I saw the movie "Blended", which was actually for me the right combination of comedy and romance, I´ve started to notice Bella more often. In addition, she was also stunning at the latest NYFW, where she was sitting in the front row at most famous designers. Almost always well-dressed for each occasion she is the right fashion inspiration for every young lady. When we first heard that the photographer known for his cooperation with Victoria´s Secret is preparing a book, we knew that it would feature a lot of beautiful women. This incredible masterpiece, which contains 170 color and duotone mostly naked photos, can be bought for $199 in a standard version, or an autographed copy for $299. As the headline tells us, photographer Russell James captured well-known VS angels as Candice Swanepoel, Adriana Lima, Lily Aldridge, but for example Kendall Jenner, too (does this mean that she is going to walk the 2014 Victoria´s Secret Fashion Show?). Although we published photos from the book launch party a few days ago on our Facebookpage, today we have for you a little sneak peek inside it. I´m totally loving Jessica Alba´s every day style. She certainly knows what fits her well. This time she styled two different denims with trendy pointed heels (similar, similar) and simple black bag. Even though it looks really easy to wear two different denim pieces, not everyone knows how to pair them together. And those ripped boyfriend jeans (similar here and here) are a classic piece that should be in each closet. Hats off to this beautiful and always stylish actress. My love at first sight! That´s actually the right sentence to describe what I felt when I saw those beautiful heels for the first time. During the year these Christian Louboutin Impera Lace Up Red Sole Pumps with 120mm heel were worn by many famous women as Rihanna, Kylie, Karrueche and other. It´s amazing how those shoes can transform even the most boring outfit to a masterpiece (most of the time). However, even if you have thousand euros and you want to look like a leggy supermodel, I have to disappoint you as they are sold out in most of the stores. Actress Jessica Chastain wore beautiful Christian Dior pre-fall 2014 black and white dress to the "Miss Julie" Premiere at the 2014 Toronto International Film Festival. She paired it with simple Tiffany jewelry and black Casadei pumps.